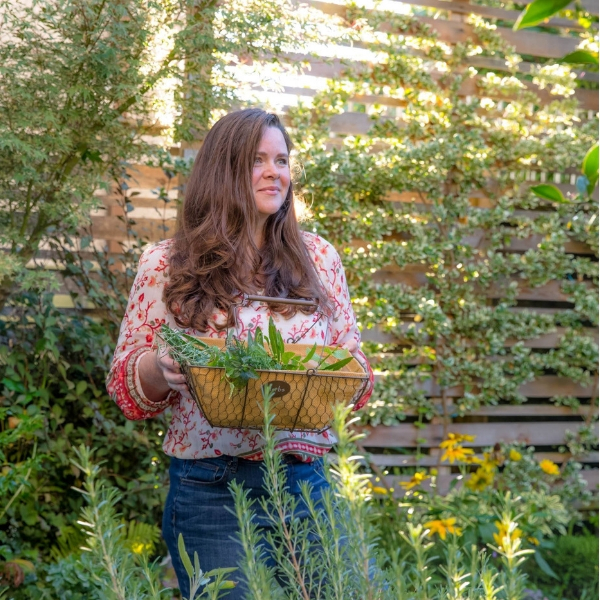 This season is when we begin to say goodbye to this year’s vegetable garden and plan for next year’s, and what better way to do both of these things than by collecting and preserving seeds to plant in the spring? Saving seeds from your very best vegetables will give you the very best seeds, so it’s worth it to take a little time and learn how to save vegetable seeds the right way. 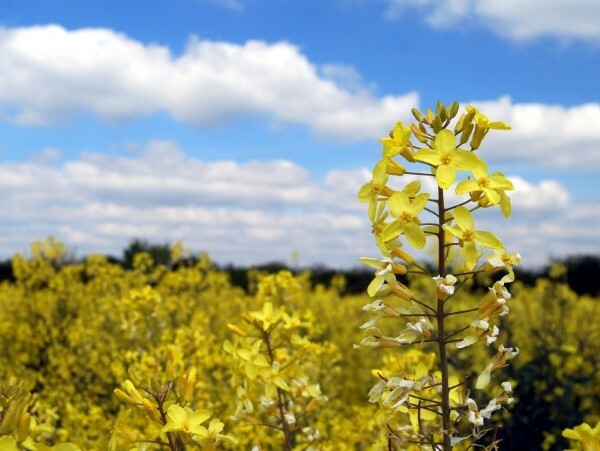 Different seeds have different needs when it comes to collecting them for the following year. Some can simply be transferred straight from plant to seed packet, while others need a bit more attention in the form of drying or fermenting. 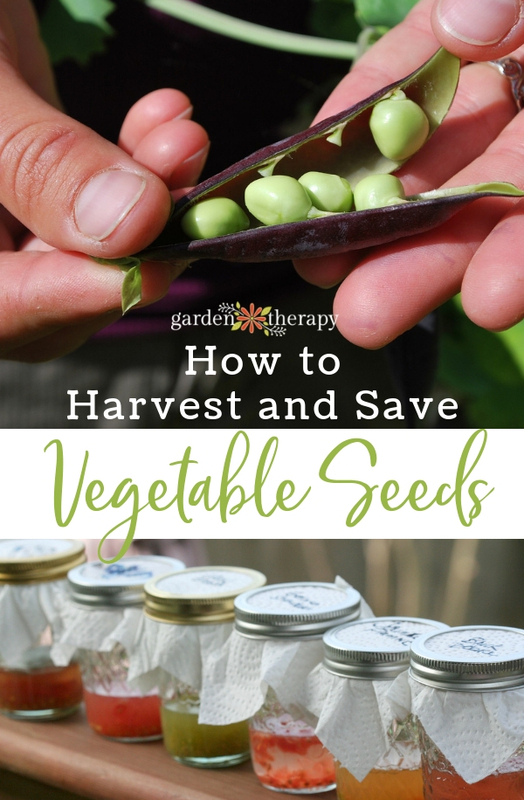 In this guide we will show you three different ways to save veggie seeds, and which method to use for which type of vegetable. You’ll also need a tool for snipping seed pods in the garden. A small pair of scissors, such as embroidery scissors, is perfect for the job. You will also want a basket or paper bag for collecting pods out in the garden before you transfer them to their envelopes. For drying and fermenting seeds, you will need paper towel and Mason jars. Some vegetable seeds will germinate and grow better if they are allowed to mature and ripen right on the plant. When they are ready, simply collect them and store them in an envelope for next year. For this method, choose to harvest seeds on a dry day in the early afternoon when seeds are retaining the least amount of water. Kale and Radish: harvest pods when they feel dry. To open the pods, rub them gently between your palms. Lettuce and Cabbage: when your lettuce or cabbage plant begins to flower, place a plastic bag over it. When the seeds are ready, they will drop naturally and be contained in the bag, ready for you to collect and store. 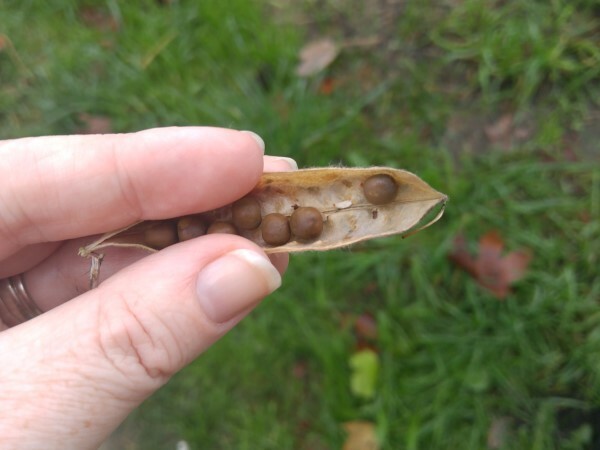 Peas and Beans: if pods are green, that means the seeds are still ripening and receiving nutrients from the pods. Be patient and wait until the pods are completely brown before you harvest them. Spread peas and beans out on a clean, dry surface and leave them to dry for a week or so before storing. You can tell whether or not the seeds are dry enough to be stored by biting one. If it is hard when you bite down on it, it is ready to be packed into a seed envelope and stored for the season. For some seeds to germinate properly, they need to ferment. In order to induce fermenting, all you need to do is soak seeds in water for a few days, then collect, dry, and store the seeds. Cucumbers: wait until the cucumber is a bit overripe and its flesh has turned somewhat yellow in color, then cut it in half lengthwise and scoop out the seeds with a spoon. Drop the seeds into a Mason jar half filled with water. Cover and let sit for three or four days. The best seeds will sink to the bottom of the jar. Collect those seeds and spread them out to dry on a paper towel. Once they are completely dry, store them in the refrigerator. Melon: cut a ripe melon in half and scoop out the seeds. Rinse them gently under warm water to remove excess fruit. Put the seeds in a covered Mason jar half filled with water and let sit for two to four days. As with cucumbers, the best melon seeds will sink to the bottom, while the ones you don’t want will continue to float. Dry the sunken seeds on a paper towel and store in a seed envelope until you are ready to plant them. 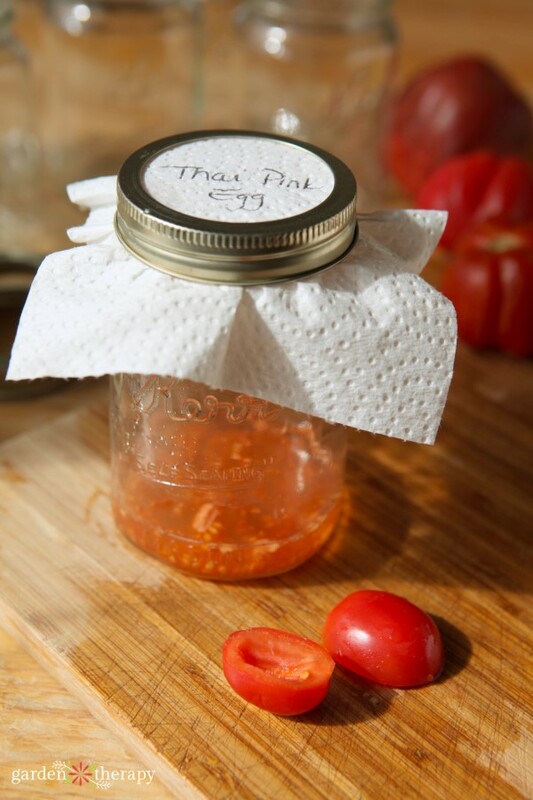 Tomatoes: fermenting tomato seeds requires a few more steps, but it is SO worth it! See detailed instructions in this post on how to save heirloom tomato seeds. This method involves simply scooping seeds out from the inside of veggies and laying them out to dry. Squash and Pumpkins: when squash or pumpkins have developed a hard outer shell, they are ready to be harvested for seed saving. 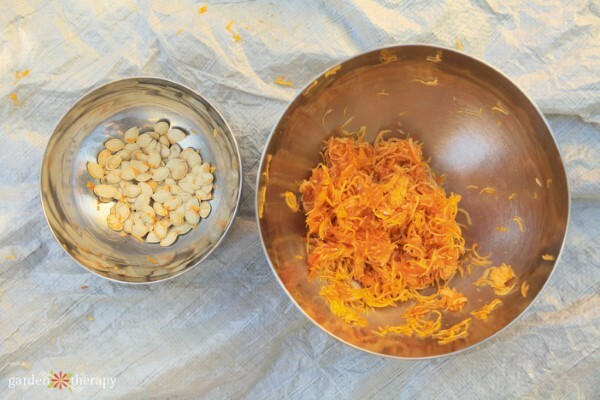 Cut the squash or pumpkin in half, scoop out the seeds and rinse them under warm water. 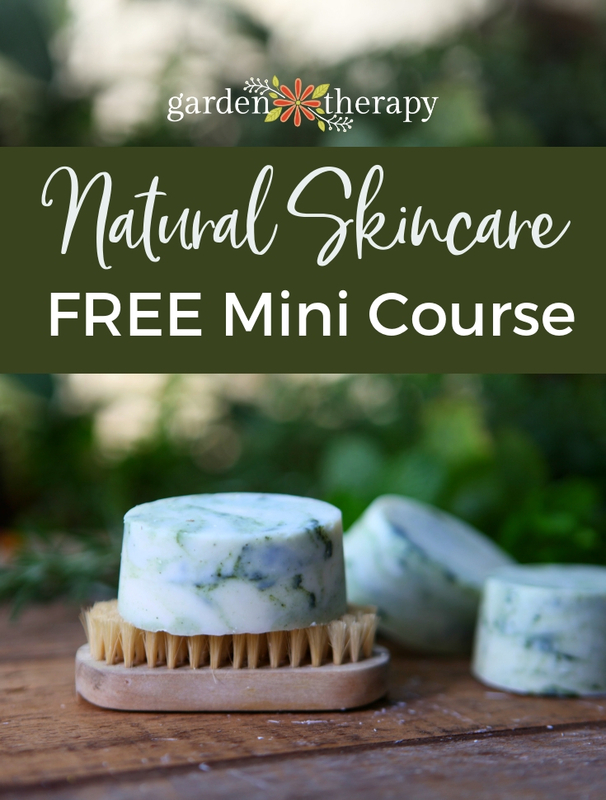 Pat them dry and spread them out on a clean, dry surface. Wait until seeds are completely dry before packaging them up for storage. Note: different varieties of squash and pumpkin cross-pollinate with each other, so the seeds you save might produce something that is not quite the same as the squash you collected the seeds from. This can be a really fun surprise! 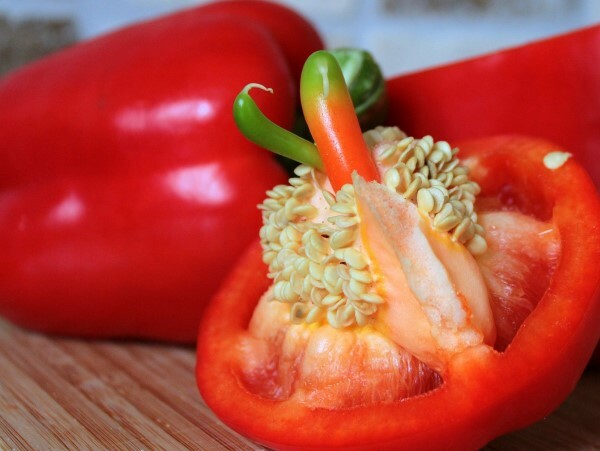 Peppers: most peppers will turn a dark red color when they reach full maturity. At this point, harvest them and slice them in half. Use your fingers to remove the seeds and spread them around on a paper towel placed away from direct sunlight. Leave them to dry like this for one or two weeks, then store in an airtight container. 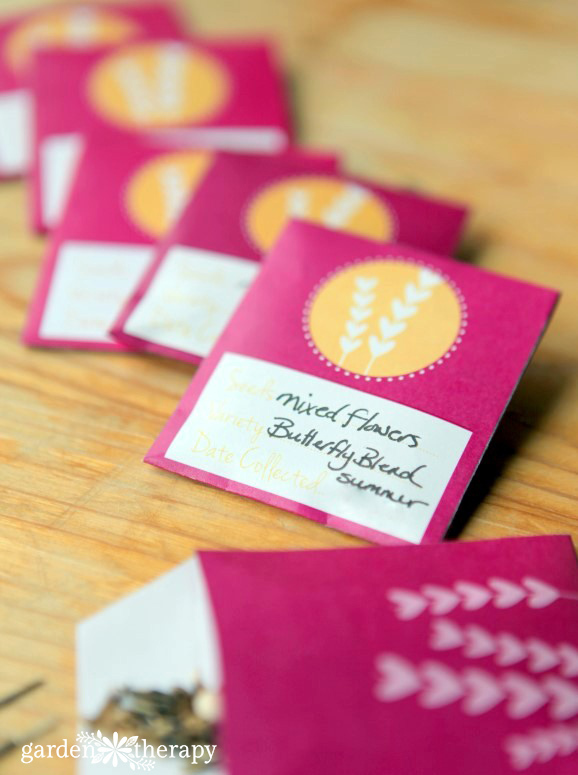 To learn all about saving flowers and other kinds of seed, head on over to this post. Now that you’ve saved all those seeds, get ready to plant them next year! Great tips! It’s so gratifying to save seeds. I don’t save vegetable seeds, but I do save lots of flower seeds. Happy gardening! your title did not state that it was for only vegetables. what about flowers? Great post! I’m fermenting some tomato seeds right now. I learned that trick from a friend when I was working on a farm in new jersey. I didn’t know that cucumbers and melons used that method too. I’ll have to try that in the spring! Hi, do you know what plant the seeds are in the second photo under the headline? The photo between the jars and the peppers? I have some seeds that look exactly like that, I got them from my parent’s yard and they don’t know what kind of plant it is. Funny, that trying to look up seed saving and the first picture I noticed is the mystery seed!